Breach of Personal Healthcare Information at Anthem. We often hear the aphorism, “Anything put on the internet, stays on the internet.” I suggest a corollary, “Anything put on a computer can be retrieved by a determined inquisitor.” So it is even for the most intimate of personally identifiable information – healthcare records. Given massive nationwide efforts to digitize our healthcare encounters, and given the frequency with which those digits are shared among insurers, contractors, researchers, public health officials, health information exchanges, pharmaceutical companies, healthcare providers, and the host of other interested parties who claim a legitimate interest, it is inevitable that data will go astray and be misused – illegally or inappropriately! It is said of computer hard-drives that one does not ask if a failure will occur, but when. I maintain that the same dictum holds true of personal health information. If computer-wielding crooks can steal from banks (which we assume use the highest degree of on-line and network protection), how impregnable is the healthcare industry? Apparently not so much. Author P HasselbacherPosted on February 16, 2015 February 16, 2015 Categories Health Care Reform, Medical Information, Medical Privacy2 Comments on Breach of Personal Healthcare Information at Anthem. 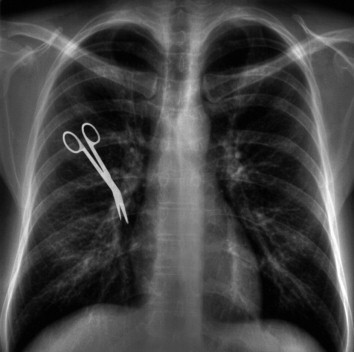 Retained surgical objects: A useful marker of hospital quality and safety? Author P HasselbacherPosted on February 18, 2012 February 18, 2012 Categories Health Care Reform, Medical Information, Quality & SafetyLeave a comment on The Cardiac Gloves Come Off! In an earlier entry, I was critical of what I call the “press release” variety of medical reporting in which the news report is based heavily or entirely on a press release by individuals or institutions who have a financial or other vested interest in shaping the presentation. In many, if not the majority, of these the difference between informing and marketing is not discernible to me. It is therefore only fair to give credit for what I think is an example of excellent medical reporting. As described below, I was also impressed at the value added to conventional newspaper reporting by its associated Internet capabilities. The article provides an example of the pre-publication embargo system used by some major medical journals with what I think are both positive and negative implications. On Tuesday, February 8, New York Times reporter Denise Grady published an article, “Lymph Node Study Shakes Pillar of Breast Cancer Care.” My sometimes faulty memory tells me I saw her article Monday evening on the New York Times website. The article Ms. Grady reported on was officially published in the February 9 issue of JAMA, the Journal of the American Medical Association: “Axillary Dissection vs No Axillary Dissection in Woman With Invasive Breast Cancer and Sentinel Node Metastasis, ” by Armando E. Giuliano and coauthors; vol. 305:569, 2011. I received my personal copy of the Journal on Wednesday the 9th. I spent over two hours studying this seven page paper. It was heavy going for me and would have been largely impenetrable to a layperson. It goes against my grain to be paternal, but there is no way for a layperson to understand the significance of the research or how it might relate to them without help. In fact, even I needed some help to put things in perspective, and I confess some of that help came from Denise Grady. Area Variation. Is Doing the Most a Good Thing? The article emphasized the multibillion-dollar annual market and the medical controversy over when and if this extremely expensive major surgery should be done. Also highlighted were the large amounts of royalty money paid by the manufacturers of surgical equipment directly to surgeons who make the decision to operate. The article reported that five of the surgeons at my local hospital received more than seven million dollars in less than a year from the manufacturer of the implants used in the surgery. This was in addition to the clinical charges billed. It was reported that total Medicare reimbursements for spinal fusion at my local hospital were almost $48 million. The article proposes, and I and would have to agree, that the amounts of money involved are enough to distort the medical decision-making process. Since the hospital and doctors involved are part of our academic medical center, one might also reasonably assume that young physicians in training will perceive these activities as the standard of care. There is not room here today to summarize the medical literature pertaining to spine surgery for disc disease and arthritis. Suffice it to say, most national organizations of general physicians and rheumatologists are arguing for fewer operations than in the past. In my own career as a rheumatologist, I personally recommended spine surgery for only three patients with arthritis. It is possible for you to suspect that I think too much spine surgery is being done in general. The hospital and doctors involved will likely offer their own explanations: indeed I think they will need to. Author adminPosted on January 10, 2011 January 5, 2012 Categories Health Care Reform, Medical InformationLeave a comment on Area Variation. Is Doing the Most a Good Thing? Does Medical Reporting Help or Hurt? Courier-Journal reporter Darla Carter led off New Year’s Day with a front page article “Health news [is a] prescription for confusion.” I agree with her. Is coffee bad for you of not? Should postmenopausal women take estrogens or not? Should men get a routine PSA test for prostate cancer or not? When and how often should I get a mammogram? Should I get chest x-rays to screen for lung cancer or not? Should my child get immunized or not? Our daily media is full of headlines and stories that address medical scientific issues and their application to medical care. Even if one is not paying attention, it is obvious that the recommendations appearing in these news articles and segments conflict with each other on a regular basis. It is this article that stimulated me to get off my duff with this blog. For years I have been pulling my hair out about the way medical information is presented to the public. The volume of health and medical information presented to the lay and professional public daily is overwhelming. I don’t know about you, but I can hardly stand to watch television any more because of all the drug ads. The only thing that is worse are the campaign ads, but at least these are with us only part of each year. Author adminPosted on January 7, 2011 July 11, 2011 Categories Education, Medical Information, Quality & Safety, Research1 Comment on Does Medical Reporting Help or Hurt?